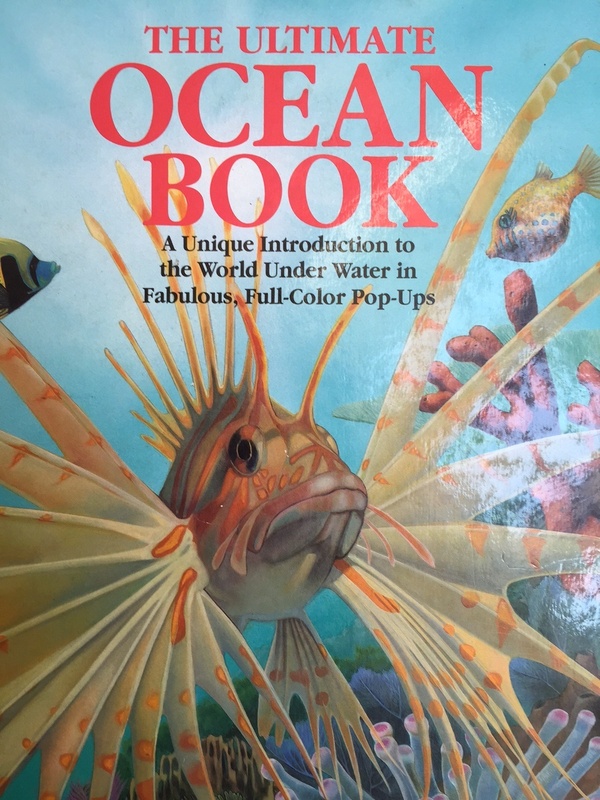 Watch this beautiful short video interview with Virge Kask, the biological illustrator who created the spectacular undersea world of The Ultimate Ocean Book--a book I wrote in 1995. This book is a "dimensional portfolio"--aka a pop-up book--but for a more sophisticated audience that the kiddie pop-ups. Virge's illustrations, the paper engineering, and the design work together to provide several lavish spreads of marine creatures uncluttered by overlain text. Where's the text I wrote? Masterfully hidden under flaps and in pull-out panels on each page. The experience of reading this book is almost like a deep-sea treasure hunt--the more you explore, the more you discover. The Ultimate Ocean Book is currently out of print, but you can find copies online...for a mere penny plus shipping.